Twitter's followers feature is the heartbeat that drives social communication on the popular microblogging network. It allows Twitter users to receive updates from those they "follow" and to send instant text updates to those who "follow" them. But effective use of the Twitter follow feature involves more than just clicking the "follow" button next to another user's name. It also requires thought and understanding of best practices in attracting and communicating with Twitter followers. The following collection of articles walk you through the Twitter followers feature and how it's used. The articles start with introductory follow functions and progress to more nuanced and advanced considerations that you should take into account when you're deciding who to follow. The articles listed below explain the Twitter follow feature in detail, starting with how it works. They also explain aspects of following that novices and even some intermediate users may not grasp from their initial use of the messaging service. After you've been on Twitter for a few weeks or months, you'll notice that a lot of other Twitter users have more followers than you do. It takes time and concentrated efforts to get your Twitter followers count into the three and four digit tier where active Twitter users typically are. The best ways to get more followers are to provide good content through your tweets and follow more people yourself. The more you tweet and follow, the more people will follow you back and read your tweets. That's it in a nutshell, but there are a lot of different strategies to achieving these two goals of tweeting smartly and following more people. Who Has the Most Twitter Followers? Auto follow is a buzz phrase for tools that automate many of the Twitter following functions, with a goal of helping people get more followers. 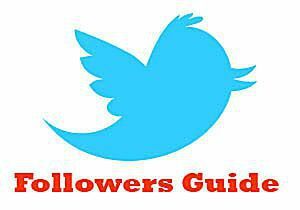 At its simplest, auto follow means reciprocal following in an automated fashion, or using a tool that helps you automatically follow back everyone who follows you. More often, though, it refers to automated ways of finding people you can follow, with hopes that they'll follow you back. There are many pitfalls in auto following practices, so before you use any of the tools to automate following in your Twitter account, be sure to read up on the practice in general and the particular tool you use. You should also read up on Twitter's own rules regarding automation. The following articles explain what you need to know about auto follow tools before you decide to use them.